… where I share my current crushes, the more lust-worthy items I have my eye on, classic trends with the volume turned up a bit, and beauty products that I swear by! The most versatile footwear trend of this fall and winter season! My favorites are these super chic Vegan Austin Flats from BC Footwear, a sister-company of one of my favorite shoe brands, Seychelles. I got them in Taupe (pictured above, middle picture), but also comes in stunning brushed metallic and a lovely Saddle color. They are the Survival Slides from Seychelles. Theses super-versatile babies come in Black & Tan. Love the ease and simplicity of just sliding in, and going! My perfect go-to weekender shoe. Pairs beautifully with jeans, sneakers, and a slouch tee, or with silk tank and dress pants, or even over a dress and heels. The ultimate piece you can dress up, or dress down. And you cannot even imagine how soft the fabric is. It’s like being wrapped in a big, cozy hug. A recent find thanks to my girlfriends and favorite style experts at Terra Cotta Savannah, my favorite boutique. These are stylish chiffon neckties that are dip-dyed and embellished with beads, tassels, and trim. With so many ways to wear, they are an excellent accessory for the season! The details are just stunning! Do yourself a favor and scroll through the beautiful array of colors, textures, and embellishments, and find one that speaks to you! They are so fun! The perfect blend of cocoa-brown and stormy grey and a great, dark neutral for all season. I am also a fan of classic reds the whole year through, and my go-to Red is Big Apple Red. And finally, Raisin the Bar (who comes up with these clever names anyway? ), which is a deep wine berry shade. And it’s just completely yummy and luscious in every way! Or, as I call it, my Miracle Oil. Now, I understand your trepidation as I also have oily, acne-prone skin and it is counterproductive to put oil on already oily skin. Typically, we pile on oil-ridding or drying products to soak up the oil and clear our skin and empty our clogged pores, but after reading and researching more natural beauty products, Mom felt compelled that I should try this oil. It lightens my unevenness, aids in clearing hormonal acne, and fades red spots and hyper-pigmentation that I hold onto for so very long due to how fair I am. I cannot say enough about this product. Go to their website and read the testimonials, you will be astounded at what you read! And yes, the price tag is a little steep, so Mom and I split our first bottle before we each take the plunge individually. I won’t have to have my arm twisted when it comes time for a refill. Honestly, dry shampoo is one of my all time favorite beauty products, and I may have found my favorite dry shampoo brand! Absorbs excess oil, cleans without water, light matte finish, no powdery-residue, and leaves you with fresh look-at-me volume. Can also be purchased at Wal-Mart, CVS, Walgreens, and most drugstore chains. I love the way my Day 2 Curls look after a quick spritz of this stuff, a little tiny tease of the crown, and I am off for another day! And speaking of those curls pictured above, the curling iron I swear by is the Hot Tools Pink Titanium Ceramic Curling Iron. 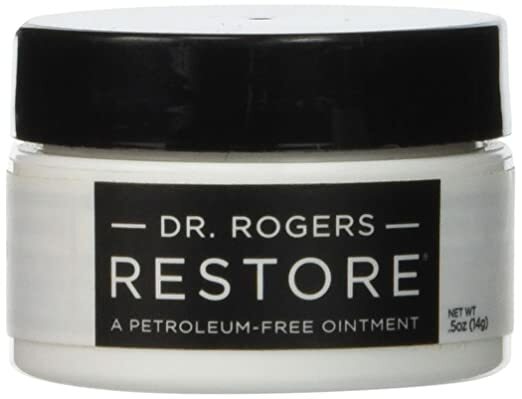 Possibly my favorite new beauty find- Dr. Rogers RESTORE, a Petroleum-free and Allergy-free Ointment. So luscious, thick, and emollient on your lips and can also be used on minor scrapes, cuts, and burns just like you would a NeoSporin. This product is dermatologist created and recommended, non-toxic, chemical free, skin-protectant and ointment. And it’s 100% Plant based formula that can be used on lips, skin, & nails. It is a tremendous skin moisturizer and can even be used on your children, infants, and even your 4 legged dog and cat friends. I love this formula so much! I am probably on my 5th or 6th tube of this formula and 3rd or 4th different color. Rouge Coco Shine is a hydrating, Sheer Lipshine with just the right amount of tint and moisture. Right now, I am rocking 2 different shades depending on the day and my mood. A bright and poppy red-pink shade, #84 Dialogue, (pictured below) or #60 Antigone which has a more Mauve shade to it with just a bit of shimmer. Each tube retails for $37.00. Could be a great stocking-stuffer this holiday season?!? Drop a few hints. So, that’s my most recent round-up of some of my favorite Fashion & Beauty Finds. Another edition of my most recent & most beloved health & beauty finds… and this time it’s all about summertime! Fresh, dewy, glowing skin. Freshly polished, brightly-colored nails. Easy-does-it, shiny hair. Bronzers, blushes, sunscreens, lip glosses, and more! I love a gel manicure. Always looks so professional, shiny, and I don’t have to worry about my nails for 10-14 days! But, I’ll be perfectly honest, I don’t need to budget that amount every 2 weeks for a fresh manicure and, oftentimes, I am not faithful about returning to the salon to have the gel removed and I end up peeling it off myself, and damaging my nails in the process. I know, I know. Very bad. 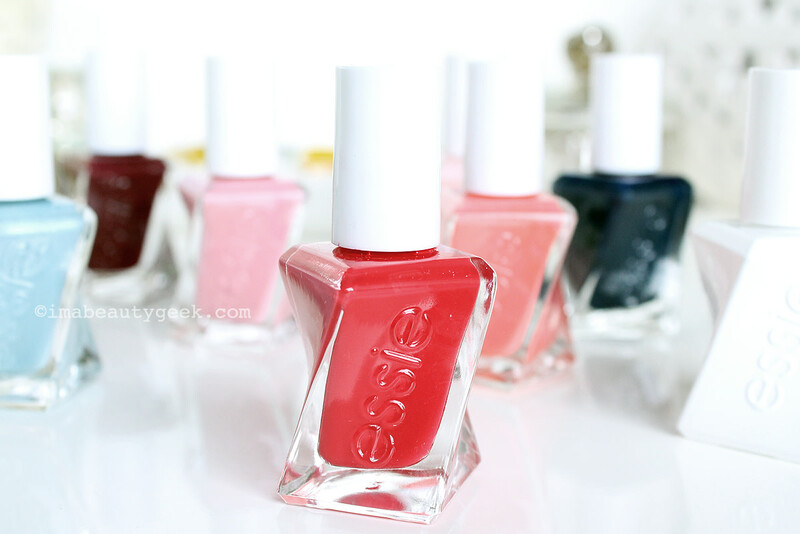 So, when Essie came out with their Gel Couture line, a long-wear, at-home gel-like product that lasts 7-10 days and removes easy as a traditional manicure, I was blissed out and couldn’t wait to try it! So, here we are wearing Rock the Runway, a great, classic, candy-apple red perfect for summer and all 4 seasons. So, I only took 2 pictures, because on day 5, I got caught by the cleaning staff and it was really embarrassing. Ha! All in all, this manicure lasted 7 full days before my first chip! And even then, I touched it up, slicked on a little more top-coat and my nails were strong well into Day 9 before I removed the polish & started all over again on Day 10. Kenra Shine Spray provides weightless, instant shine to any hair color or hair style. This superfine mist provides frizz and flyaway control and contains UV protectants to help guard color- natural or color treated hair types. Just wash, style, set, and then shine! Or, after you use a dry shampoo product on day 2 or 3 of your style, top off your looks with a little shine spray so your hair doesn’t look too dry. The perfect product for summer! Skin is glowing- why not your hair? A light-reflecting powder that gives your complexion a high-impact, light-reflective, shining-from-the-inside glow. Sweep over your cheekbones and the bridge of your nose, exactly as sunlight would hit your face naturally, for a luminous glow that makes your best features shine! Pink Glow is the shade I wear, and is pictured above, but it also comes in Bronze Glow for those with warmer skin tones. Mom was who originally discovered Ilia as she is passionate about discovering all-natural beauty products and has even gotten into essential oils as well. I have been a beneficiary of that new hobby as well. Ilia was an all-natural beauty brand that she had researched and ordered a few lip sticks to try, and in her box, as a free gift was a beautiful pink lip gloss. Not a pink wearing gal, Mom gave the gloss to me next time we met and I have worn it every day since. It’s the perfect amount of coverage for summer and it’s ultra creamy feel and sheer wear is perfect for summer. Loving the nudes and pale pinks, but am always partial to a classic pinky-red as well. Why do you think the French always wear red lips & nails? Classic and beautiful on most skin tones. It is very important to wear sunscreen every day. Particularly this time of year, but I have a hard time wearing cream sunscreens and then wearing make up as well, so powdered sunscreen is the answer to that! 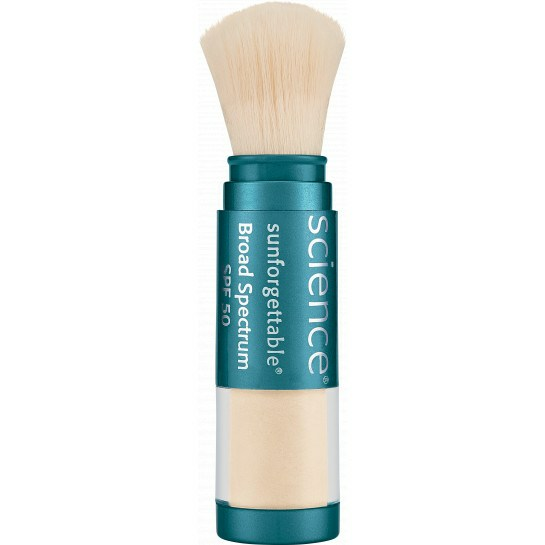 Stay radiant every single day with this brush-on sunscreen that offers powerful SPF 50 UVA/UVB protection, all alone or over make up. This powder can act as a finishing powder and it has a nice translucent coverage. Comes in a variety of shades: Fair, Medium, Tan, & Deep. I absolutely swear by this stuff and use it all the time! Plus, if you have oily skin (like me) and sunscreens and heavy moisturizes tend to break you out, this is the perfect answer! Such a wonderful investment in your beauty routine. 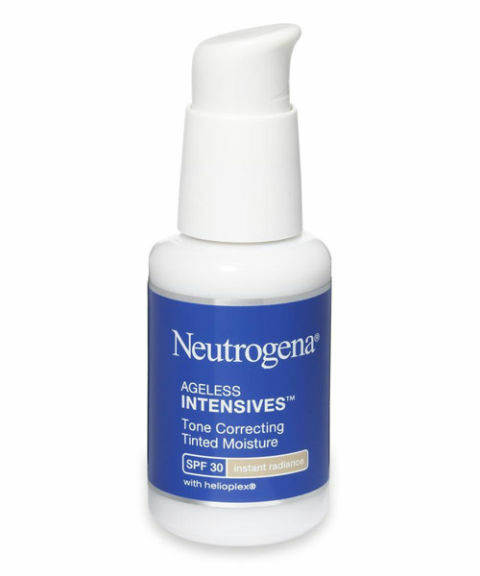 I first read about it in Good Housekeeping Mag- you know, where all good things in life come from- and so I picked up a small tube the next time I was in CVS and it’s a great product for those of us that may have some additional redness, unevenness, and even hyper pigmentation around more sensitive areas.